The Arctic Sunrise is in Honolulu! 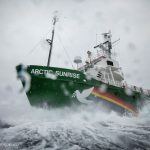 Since 1996, the Greenpeace Arctic Sunrise has sailed the world documenting offshore oil pollution, thwarting commercial whaling, and bearing witness to the impacts of climate change. Come aboard and see the historic Arctic Sunrise for yourself! Here you’ll find details on setting up public and private tours, accessibility, FAQs, and where to find us. As the Chief Mate Martti is responsible for making sure that everything on the ship is running smoothly. Martti got started sailing with the merchant navy of Finland. Eight years ago his girlfriend at the time was a volunteer in our Helsinki office and suggested he apply to sail with Greenpeace. Martti was hired almost immediately and over the past eight years he has sailed on all three of the ships in our fleet. He says the atrium is what is special about the Arctic Sunrise because it brings people together. Martti doesn’t mind the rolling of the Sunrise as he has never been seasick. When not sailing for Greenpeace Martti goes home to Findland and spends his time fishing and road cycling. As the second mate on board Yeonsik is in charge of navigation. 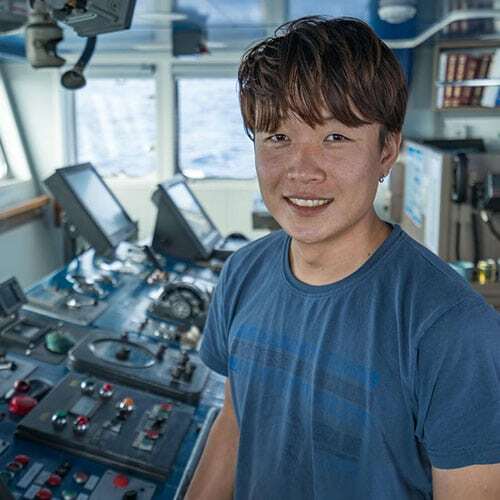 He is the bridge manager and says the “radar and charts are his babies.” Yeonsik wanted a job that would allow him to travel the world so he started sailing on commercial ships in 2010. After visiting more than thirty countries in five years. 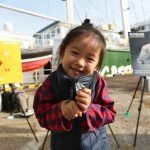 Yeonsik wanted to find a sailing job that was more meaningful, so he started sailing with Greenpeace in 2015. The Arctic Sunrise is his favorite ship to sail because it can go anywhere. When not working for Greenpeace he runs an environmental class for tourist on Biyang Island, South Korea. 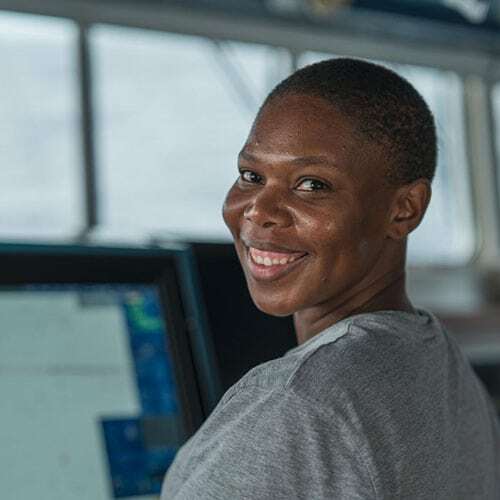 As the third mate Thuleka is in charge of safety equipment onboard, as crew and staff join the ship it’s her job to familiarize new staff and crew with the ships safety procedures. Thuleka also does navigational watches when the ship is at sea. Thuleka first heard about Greenpeace when the Rainbow Warrior stopped in South Africa three years ago. Having gone to navigation school she applied for a position and the office reached out a month later. 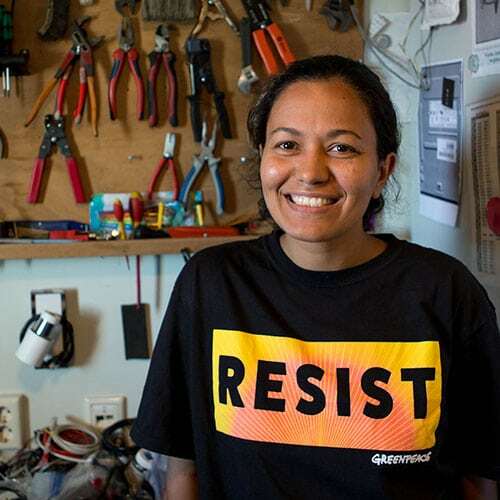 Thuleka was very new to Greenpeace, to help familiarize her to the ships and the organization Greenpeace asked her to start out as a volunteer deckhand on the Arctic Sunrise, after two months as a deckhand she flew to Mexico to start as a third mate on the Esperanza. Thuleka likes the Esperanza because it’s more stable and the cabins are bigger, but says the Sunrise is special because the ship is more intimate allowing the crew to develop stronger relationships. When not sailing on the ships, Thuleka is a full time mom in South Africa. As both the medic and a deckhand on board Caterina makes sure everyone is healthy and provides medical support to the crew if needed. As a deck hand her favorite thing to do is to drive our Ridged Hull Inflatable Boats (RHIBS). Caterina got involved with Greenpeace as a volunteer in 2010 in Norway after her friend suggested she come to a meeting. Two months later she applied and got a position as an assistant cook on the Esperanza. The Arctic Sunrise is her favorite ship because it’s cozy, moves a lot, and creates strong working teams. When not on the Greenpeace ships, Caterina can be found in Italy sky diving and helping out on a farm that rescues horses. 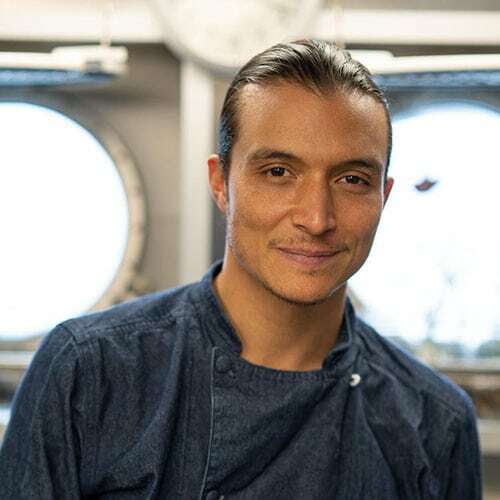 As the cook Daniel practices his environmental and social activism through the food he prepares and serves daily onboard. Daniel started as a volunteer with Greenpeace Mexico fifteen years ago and has been cooking for fourteen years. Participating in environmental activism with Greenpeace has taken Daniel all over the world allowing him to see both the natural beauty of the planet and a lot of destruction caused by humans. When not cooking on the ship, Daniel can be found in the kitchen making fresh pizza and baking cookies with his twelve year old daughter. Daniel also works with indigenous farmers to document sustainable agricultural systems. 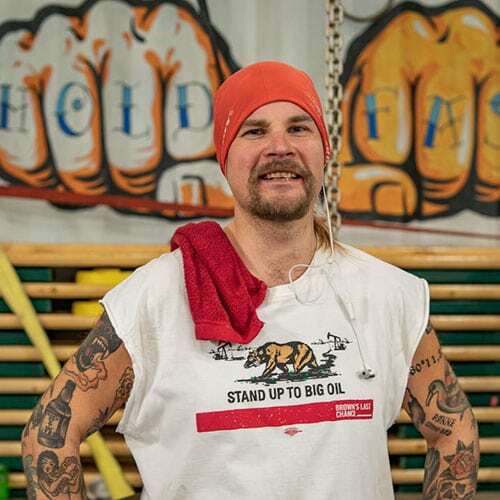 You can find Daniel’s recipes and learn more about his activism here. As the Bosun on board Craig is in charge of the general upkeep and maintenance of the ship. Craig manages the deck crew and drives the crane onboard. The bombing of the Rainbow Warrior in Auckland, New Zealand pushed Craig to get involved in local peace and environmental work. Craig quickly found his way to Greenpeace by helping with our campaign to make Antarctica a world Park and has now been with Greenpeace for twenty-eight years. This is Craig’s seventeenth journey on the Sunrise. 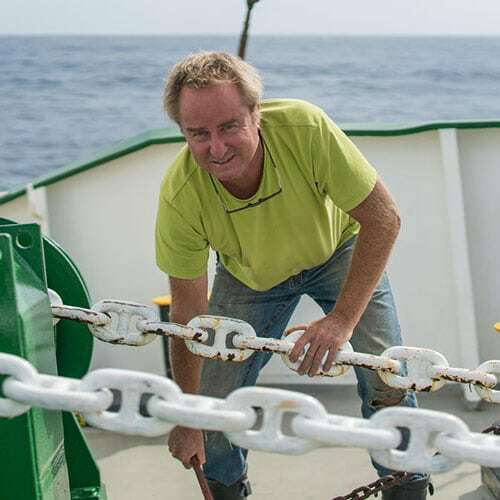 When not onboard a Greenpeace ship Craig spends his time at home with his wife and two girls in Andalucia, Spain. As the boat mechanic onboard Andres looks after the five Rigid Hull Inflatable Boats (RHIBS). Along with maintaining and repairing the boats, Andres also drives the boats. He likes repairing the boats because the work can be challenging to figure out what is wrong. 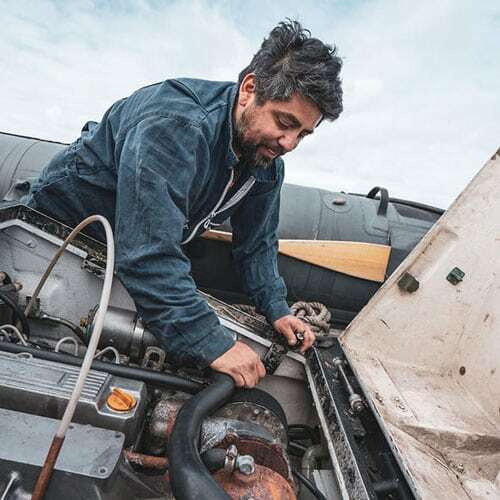 Andres started as a volunteer in the Chilean office and has now been a boat mechanic with Greenpeace for ten years. Andres has sailed on all three of the ships in our fleet, his favorite ship is our flagship the Rainbow Warrior III. When not on the ships Andres works as a boat driver and polar guide for Antarctic expeditions. 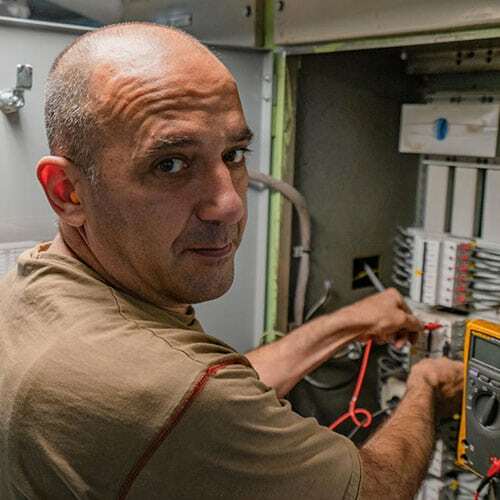 As the Electrical Engineer Krasi keeps the lights on, without electricity nothing on the ship would work. Krasi was recently involved in a very large retrofit of the Arctic Sunrise in which he helped redesign the electrical system. His expertise of the ship’s electrical system is one of the main reasons why Krasi has only sailed on the Arctic Sunrise in his four years at Greenpeace. During the retrofit Krasi worked to design a system in which the wasted heat from the generator is captured and used to keep the main engine warm, saving ten to fifteen killowatts per hour. When not working on the ship, Krasi goes home to Bulgaria to spend time with his two daughters. As a volunteer deckhand on the ship and Myriam describes her job as part of the maintenance crew that keeps the ship in ship shape. In 2009 Myriam got involved as volunteer with Greenpeace in Chicago helping to fight against two local coal plants. After volunteering for a year Myriam got a job with Greenpeace and worked in the office until 2016. 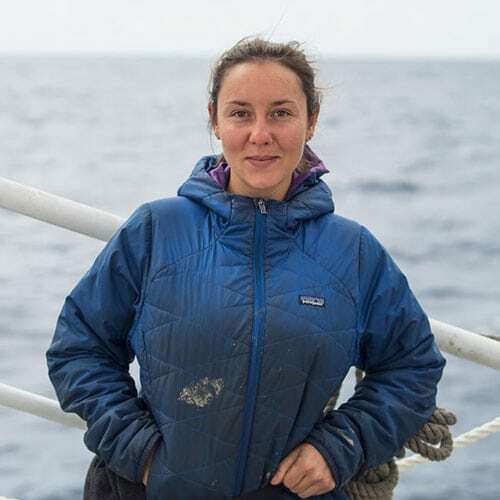 Myriam’s first time as a crew member was on the Arctic Sunrise in 2017. When not on the ships, Myriam loves to travel, volunteer, and go home to Chicago to see family and friends. 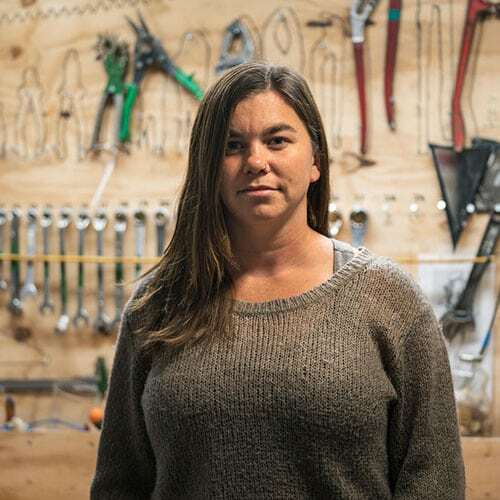 Fun fact: last year Myriam sailed a thirty-seven foot sailboat from New Zealand to Tonga.